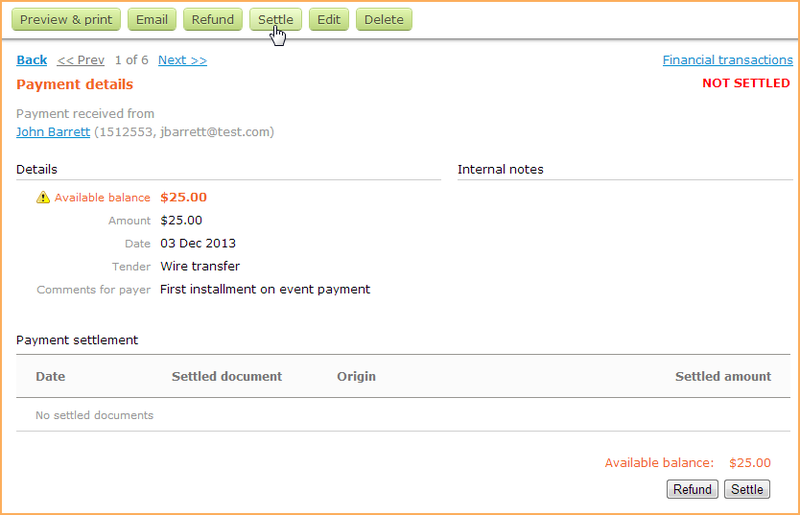 Any payment not already applied to an invoice can be settled to one or more open invoices. 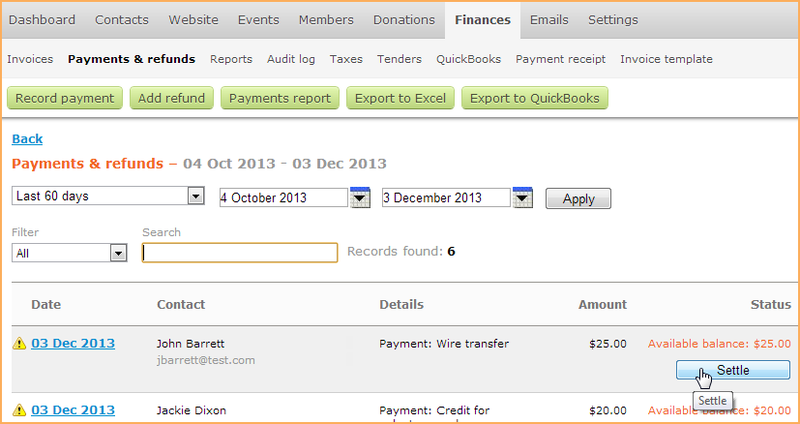 ...or click the payment within the list, then click the Settle button from the payment details. 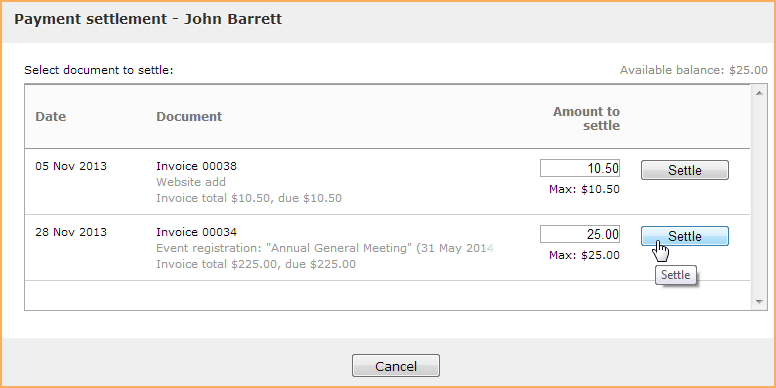 From the Payment settlement screen, enter the amount to be applied to one or more open invoices then click the Settle button beside each invoice. You do not have to apply the entire amount of the payment. 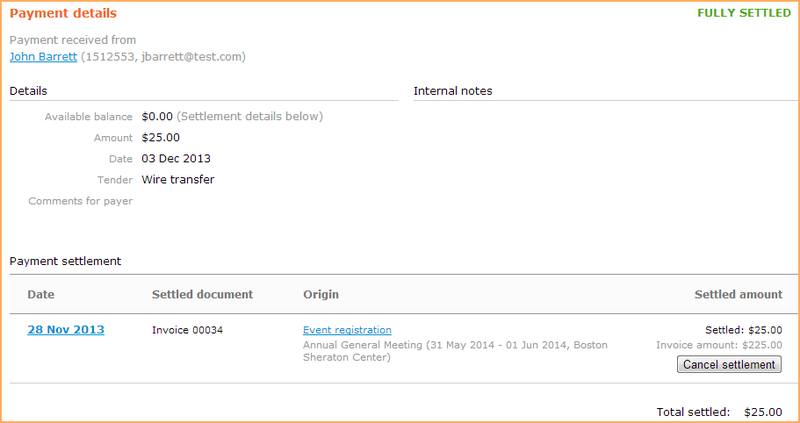 If you apply the full amount of the payment to invoices, then the payment will be marked as fully settled. Otherwise, the payment will be marked as partially settled.